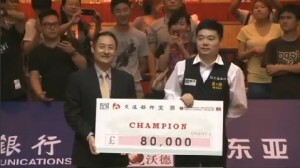 Can Ding Claim World Number One Ranking? Having looked set to reach the summit of snooker’s world rankings following the World Championship, only to be denied by a combination of his own first round exit and Mark Selby’s Crucible triumph, will Ding Junhui become China’s first number one at some stage this season? 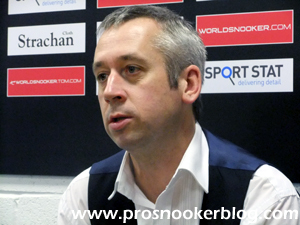 At the moment he stands £74,937 behind Selby and a look at the points to come off at each cut-off shows that their totals are generally similar for the first three cut-offs, Mark defending £44,081, compared to £34,085 for Ding. 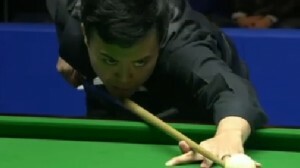 It is at the fourth cut-off however where Ding would appear to have his best chance, as Selby has a significant chunk of prize money to defend, thanks largely to his victory at the UK Championship in December 2012. Indeed at that cut-off, Selby has £127,087 coming off his total, while Ding will lose just £6,250, so if he can keep pace with Mark between now and that tournament, expect Ding to have a very good shot at finally taking that elusive top spot at the end of the year. Back up to a more representative ranking of number four following the change of system to a prize-money based list, at first glance Ronnie O’Sullivan looks to be in a similar position to those around him in the rankings, with £250,000 set to drop off from the 2012/13 season. For Ronnie though, there is a big difference as of course the entirety of that total was earned from his victory at the 2013 World Championship, meaning that he has nothing to be taken from his current total of £505,616 during the next 11 months. 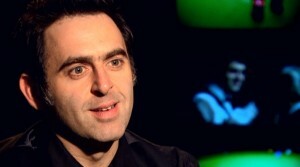 In all likelihood, this means that even with a reduced schedule this year in comparison to his rivals, Ronnie is at worst likely to remain where he is in the ranking list, with the chance to apply pressure on those above him should he perform well in tournaments such as the UK Championship later in the season. Even if he were not to enter another event during the remainder of the season, in all likelihood his prize money earned during the 2013/14 season alone would be enough to see him remain with the world’s top ten players, so expect him to remain inside the top eight for some time now. 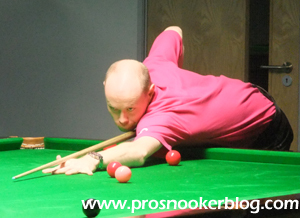 Looking at players in the higher reaches of the rankings who look well placed to improve their ranking this season, the three obvious names to jump out are Marco Fu, Joe Perry and Xiao Guodong, who all enjoyed strong seasons in 2013/14. Having earned £127,023 during the 2012/13 season, Marco Fu almost doubled that total last term with his Australian Goldfields Open title helping him to bank £215,800 during 2013/14. A similar run of performance this coming season would see him knocking on the door of the top five and at least consolidating his position inside the top eight. For Perry meanwhile the improvement was even more dramatic, as he virtually trebled the £50,175 he earned during the previous season, by winning £147,890 in 2013/14 alone. Currently 15th on the latest projected seedings list, a repeat of last season’s results would likely see him up into the top ten of the rankings for the first time in his 23 year career. 2013 Shanghai Masters finalist Xiao Guodong has not yet made it up into the world’s top 16, but with just £36,873 to be removed from his total this season, he would appear to have every chance to do so with another strong campaign this time around. Conversely, there are of course several players who performed better during the 2012/13 season than 2013/14 and so will be needing a strong year ahead if they are to remain where they are currently ranked, let alone climb higher up the list. 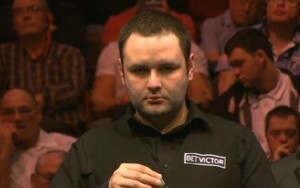 Most notable is perhaps Stephen Maguire, who earned ‘just’ £76,266 last season, in comparison to the £141,210 that he banked back in 2012/13. Already down to 13th position in the latest projected seedings list, a repeat of last season’s results could see him drop down outside of the top 20. Judd Trump too is another with work to do if he is to retain a place among the higher seeds having earned £130,000 less last season than during the previous year, while Matthew Stevens earned less in 2013/14 than anyone else inside the world’s top 26. 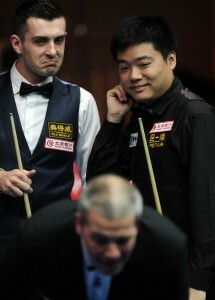 Further down the list, two players who look well set to climb the rankings this coming season are Mike Dunn and Gerard Greene, who both earned only four figure sums during the whole of 2012/13, before securing the biggest paydays of their careers last season with runs at the China Open and Players Championship Grand Finals respectively. With Gerard currently 44th and Mike 57th in the latest projected list, both should be safe inside the top 64 for the duration of this season, regardless of their results this term, but will be hoping to build on those results and climb further still up the list during the coming months. Another in this position is actually Peter Lines, who without enjoying one single landmark run, earned an impressive £42,418 across the course of the season, compared to just £7,802 in 2012/13. The same is true to a lesser extent for players such as Jamie Jones and Aditya Mehta, who also enjoyed much improved seasons last year. Having narrowly retained their places on the tour for another season, two well established names who will be needing to show improvement this term if they are to be sure of remaining as professionals for 2015/16 are Nigel Bond and Dave Harold. 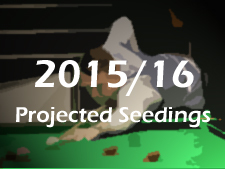 Currently 58th and 66th on the latest projected seedings list, with more money to defend than those around them, including some second year professionals with nothing at all to defend (see below), I would estimate that both will need to earn around £30,000 if they are to be safe for another season. To a lesser extent the same is true for current 63rd placed man Jimmy White, although he does have less to defend from two years ago than those two. 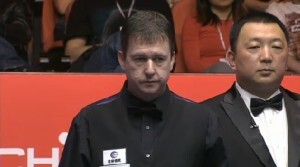 Making the situation uncomfortable for the likes of Bond and Harold will be the performances of players such as Gary Wilson, Davis Morris and Kyren Wilson, who last season having started on zero, were able to perform so well that they were able to put themselves into the fight for a top 64 spot after just a single term. With nothing to defend during the coming season, it is reasonable to assume that these three in particular will continue to rack up the pounds and by the end of 2014/15, find themselves comfortably inside the top 64 – but at whose expense? 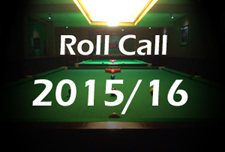 What are your themes to follow during the 2014/15 season?